Funding, not legislation, should be the priority of the government’s social care Green Paper, health and social care leaders have argued. 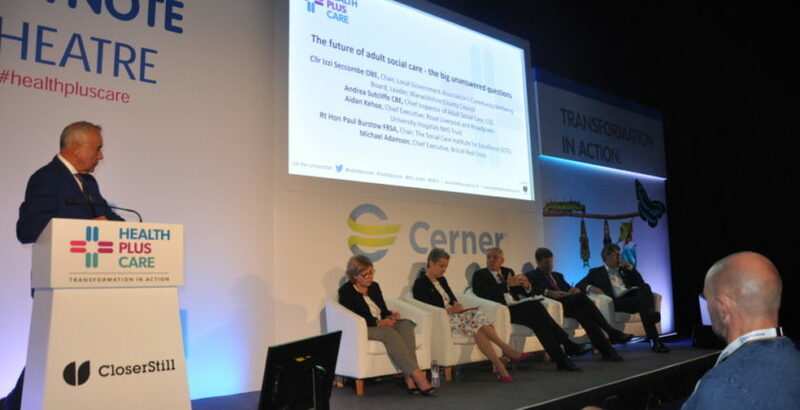 The call came during this morning’s keynote panel discussion on the future of adult social care at ExCeL London. Cllr Izzi Seccombe, chair of the LGA Community Wellbeing Board, said £1.3bn would be needed this year in order just to stabilise the social care market. Andrea Sutcliffe, Chief Inspector of Adult Social Care, added that while funding was important, the key priority should be to use extra funding to improve quality standards. Andrea argued that the Green Paper should also help develop a better appreciation of the social care workforce, adding that it was “outrageous” that there was still a stigma attached to working in the sector. A quick straw poll of the audience during the debate revealed almost unanimous support for increasing income tax to pay for social care. There was also strong support for merging the health and social systems, although the panel was divided on this with Paul commenting that the “worst of all worlds” would be a medicalising and pathologising of social care.